Vehicle inspections are very useful for car owners. They paint an accurate picture of the health of the vehicle. There are a few different types of controls that can be done, and each one serves a purpose. In California, if your car is six years or older you must have an emission inspection done before you can get your vehicle legal to drive. It is the most commonly done vehicle inspections for any automotive shop. Aside from the state requirements of needing a smog certificate, some great vehicle inspections can be done at Ryan GMW that can help identify any problems that could be happening with your vehicle. Cars rely very heavily on the fluids that run them. 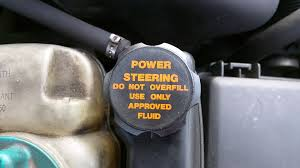 It can include engine oil, transmission fluid, power steering fluid, brake fluid, and differential fluid. When a vehicle experiences any leak, fluid will be lost. Having a checkup of all your essential fluids can help extend the life of many of the parts on your car. If there is a problem with your exhaust system, your car will produce more smog into the air that is no good for the environment. California smog laws make having to have exhaust inspections a necessary part of owning a vehicle. Aside from the environmental aspect, exhaust leaks can sound horrible, and even create performance issues. An exhaust inspection will include everything from the manifold or headers down to the tailpipes. 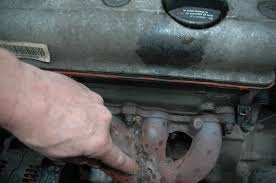 Typical items found in the exhaust system are leaks from exhaust tubing and clogged catalytic converters. The ride quality of your vehicle can be traced to the suspension parts underneath it. Struts, shocks, springs, tie rod ends, control arms are some of the leading parts. Having a suspension inspection done can save your vehicle from having some serious problems. Since many of the suspension parts are tied in with one another, if one piece is not working correctly it can throw off other parts. Identifying a problem before it becomes a more significant issue is the main reason to have the suspension looked at. Brakes are one of the most common concerns for drivers. It is with good reason. The brakes are what keeps your vehicle stopping and is essential for the safety of all drivers on the road. When brakes aren’t functioning correctly, your car won’t stop when it needs to. A brake inspection can identify if it is about time to change your brake pads, if your brake lines look good, and if the rotors are in good shape. A tire inspection can give indications on if you need a wheel alignment because of uneven wear, or if it is just time to replace worn out tires. It can also help identify if it is time for a tire rotation service. Next PostNext Is it Time to Replace Your Car’s Battery?